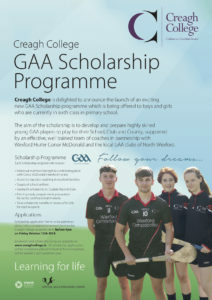 We are delighted to announce the introduction of our exciting new GAA Scholarship programme. Five lucky boys/ girls will be selected from the applications received and they will be supported in their sporting and academic progress by an impressive array of benefits. 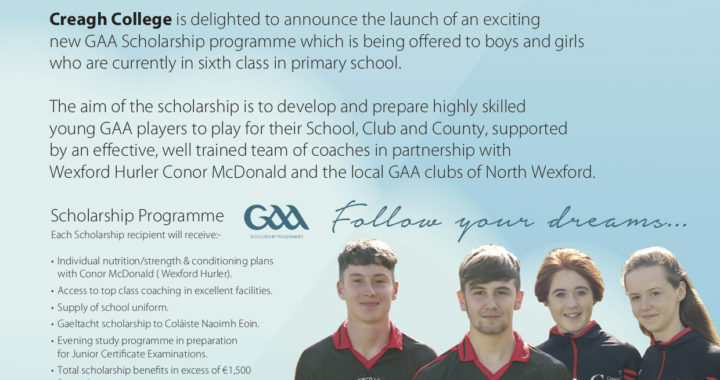 The scholarship programme will be officially launched by members of the Wexford senior hurling team at our Open Evening on Thursday September 27th.